UPDATE 7/15/2016: I found a great deal at Microcenter for an Open Box R9 290, this was a decent upgrade from the GTX 960. It runs hot and loud at full load, but I don't mind with my headset on. UPDATE #2 7/28/2016: So I switched the GPU out 2 more times. The R9 290 , while nice, ran really hot, and really loud, so I found an open box XFX Reference RX 480 and returned the 290. Unfortunately, the RX 480 was defective. The fan wouldnt change speed and it had a case of the coil whines. So then I returned it for an Open Box MSI 780 Ti Reference card. This 780 Ti had a defective BIOS and I couldnt figure out why it wouldnt work with any drivers. Id like to thank c0deater for suggesting to flash the BIOS, it worked. This 780 Ti, while being 3 years old is a beast at 1080 p still, and it still a very capable card. Also I installed an Arctic Freezer 240 AIO cooler, its awesome, I love it. Note: For the most recent pictures, the first picture and the last couple starting from the one with the GPU box are the most recent. As some of you may already know, Ive been talking about this upgrade for a month or two now and you're probably speculating though your head "Are you going to post the damn thing already or what?" This build in its original form was forged on December 25th, 2015 as a Christmas gift from my Grandparents. With a stronk Core i3-6100 and a GTX 960, the first build was born into the world as a newbie gaming PC. Times have changed my friends, I have learned more since then. Note: The new RAM I ordered for some reason will not fit even though its DDR4 DIMMs. With Six cores and 12 threads, this thing rips through absolutely everything I throw at it. At first this wasnt my original build plan. I was originally going to pick up a new mATX Z170 mobo for the case I bought, an i5-6600K to overclock it on, and a 240 mm AIO Cooler to top off that nice and toasty overclocked i5. To my amazement, I found this EVGA X99 Micro for sale in the For Sale or Trade section of the forums (Thank you royalba94 for selling this to me , it came with no I/O shield btw, if anyone was about to comment that I forgot it :P). My whole plan changed and I thought "Well I dont need it, but if I can get into the X99 Platform for cheap, I might as well try it." I found this i7-6800k for $330 before tax at Microcenter, a week after Broadwell-E launched, best Open Box deal ever. This PC to me is great, I love almost every bit of it (Ugh 960, y u no 380? ), and it will serve me very well for years to come. 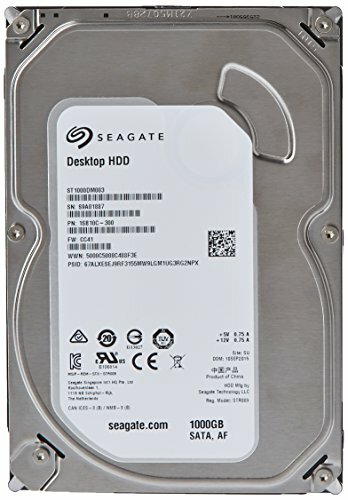 The future of this build? Well I really want to upgrade the GPU to something like the RX 480 or get a used R9 Nano for fun. A new cooler to overclock, and a new 1080p gaming monitor at 144hz for that GPU. Make sure you flash the BIOS of your Motherboard to the latest version that supports Broadwell-E and EP CPUs if you're upgrading, or the PC WILL NOT boot. This CPU is awesome, it does exactly everything Ive ever wanted to do, without holding me back. 5 Stars no doubt, if you can find it as cheap as the i7-5820k, you're lucky, and would highly suggest picking it up. Make sure you flash the BIOS of your motherboard if you're upgrading to Broadwell-E or EP. This motherboard is great, it has the best BIOS Ive ever used so far. It looks great, the layout if it is pretty good. Only thing that bugs me is it has three fan headers, but only one doesn't run three pin fans at full speed, to use the other two effectively, you'll need four pin fans. July of 2016, all the new GPUs are being released and this old timer of a flagship is getting left in the dust.... or is it? 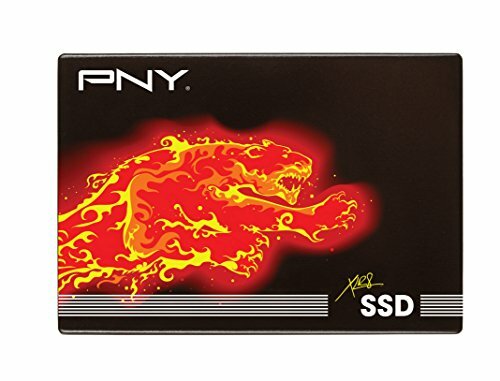 This card is great for 1080p for a 3 year old card. I think it still deserves recognition for its tier. For $160 at Microcenter, it was a steal. I highly recommend picking up for cheap if you find one. 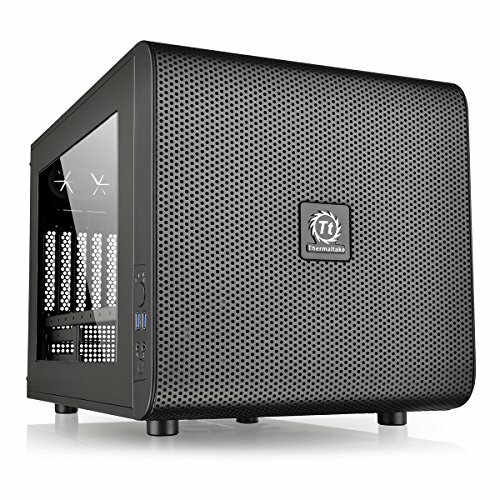 This case is decent, its large for mATX and its horizontal motherboard layout is nice. However there is no cable management to speak of and the PSU bracket you have to assemble makes no sense and take a couple of attempts to install, because the instructions are also lacking some. Much better and quieter then my 600B. Seasonic never fails to deliver. All cables are black, except the 24 Pin has the mesh tubing around it and you can see some of the rainbow wires in there. However nothing it perfect, the only thing I don't like about it is the cables are somewhat stiff. That is weird that you can't voltage control from all three system fan headers, just one of them? Makes no sense. Also the Core V21 is wayyyy bigger than I thought wow. Can't wait to see a new GPU down the road. Good build dude, grats! Fire at will, Commander! The system fan headers are weird, I'll try to figure them out, for now I have a temporary fix. lol I'd definitely recommend an IO shield as first on the list. I don't like gigantic CPU coolers personally, although at least yours is on a horizontal board so there's no weight-worries. But it looks like it is gobbling up your RAM slots; looks like you'll need to repaste and reseat it to change your RAM. Well if I go with the ram and I/o accessories first, then I don't have to worry about changing my ram later when I change the cooler. Sounds like a good plan dude. What paste are you using btw? Just curious. What FPS do you get in it and how many cores/threads does it use? It annihilates my poor 860K. I believe it only uses 2-4 cores with 2 threads, which leaves it between 15-25% load. What happened in my i3 is that it basically maxed out my cores and threads and lagged, now it just a smooth driving. FPS is a constant 60 (monitor is only 60hz), and it dips down to 55 on an intense crash. I can do another test tmw if you'd like? 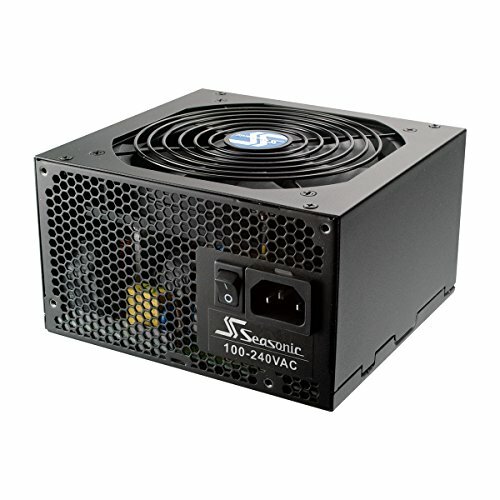 I don't want to have anything more then 200 watts for a GPU, then I'm cutting it close. Still a great PSU. A very nice looking build! I'm planning to buy the same GPU, with a x99A Gaming 7 motherboard. I see you mentioning a few times "Make sure you flash the BIOS of your motherboard if you're upgrading to Broadwell-E or EP"
I'm buying my motherboard and everything completely new. Do I need to flash my motherboard then? Or is this only if you upgrade from an older CPU to the 6800K, with the same motherboard? Hope you respond and help a fellow PC builder out! Only if you upgrade the CPU and your motherboard came out before Broadwell E that you need to flash it's BIOS. Don't get the GTX 960, it's not worth the money anymore, as the new GPUs are coming out. I got this one last year that's why I'm using it. Thank you! And I'm buying all my parts this friday, except for the GPU. Waiting to get my hands on the MSI GTX1070 :D All together, my build will be pretty nice I think Thank you for the fast reply! On a DH-15S, I'm running at 4.1 GHz, 1.283v, and 75-80C (using RealBench and AIDA64). I had it overclocked once before on my NH-D9L about 2 months ago, at around 4 Ghz, but it ran Idle around 40 C.
Now with the Arctic 240 I can try again, although the pump is dying. I had it at 4.0 Ghz at around 1.3v and with my pump squealing from having to work harder, under load it topped out around 66C, which aint bad, but it wont really overclock any higher. I dont think Im going to be using this setup much longer, this case is just a giant metal mesh box and Im looking for something quieter and possibly going back to ATX. You could get quieter fans though. I tested out a i7 build with a TT V1 (the mITX version of your case), and it's really quiet. Only had the stock 200mm on front and everything was fine. That's why I'm thinking that your fans are to blame. That's a shame about your i7. From what I've been reading, the Broadwell-e's yield some lame overclocks (compared to the i7-5930k). If I build another 6-core, I'm going with the older Broadwell. Thanks for sharing. You could get quieter fans though. Its actually the pump on the CPU block that's making all the noise, not the fans. I just put my NH-D9L back on because the pump was getting worse. 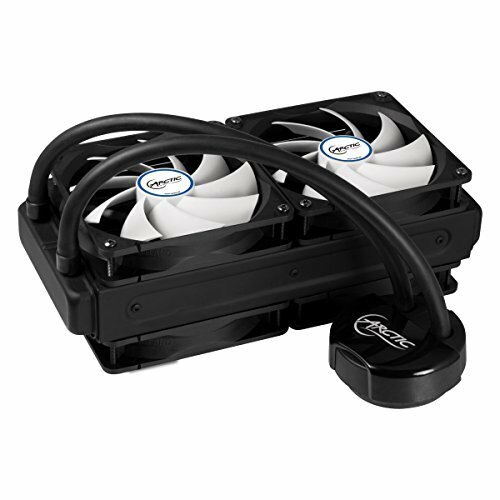 Did you have to remove 2 fans on the Arctic cooler to make it fit to the v21 case or were you able to use it with all 4 fans? I'm about to upgrade and am ready to buy this cooler, do you like it? I removed 2 fans in mine because it looked too cramped in there like that, but it should fit with all 4 fans. Also my cooler ended up being defective, the pump started to get really loud. It was really a good cooler till that happened. Now I'm using a Cooler Master Liquid Pro 120 in my new build. Thanks for info, I'll keep looking. Newbie here. What do you mean by "flash the BIOS" ? Is the Motherboard new? Did you buy it recently or planning to? By flash the BIOS, I mean if the board was purchased before Broadwell E was released and it's BIOS needs to be updated to the current BIOS so it compatible. Flashing is basically like "updating" the BIOS on the motherboard. From i3 to an X99 chip, dayum. Yes you need a Haswell-E or EP CPU to update the BIOS if the mobo was purchased before Broadwell E and EP was released. If you bought the motherboard before they released the new CPUs, you'll need to update the Bios using a Haswell E CPU.